“I pray for the bravest soldiers, who died while defending our kids, our parents, our independence. War crimes are a result of hate, indifference, lack of love and understanding. It is our duty to condemn such brutal aggression and preach for love and peace,” the 29-year-old singer concluded. A number of pubs in Yerevan have cancelled their entertainment events and singers and artists have canceled their upcoming performances over the latest escalation of violence in the Armenian-Azerbaijani conflict zone. 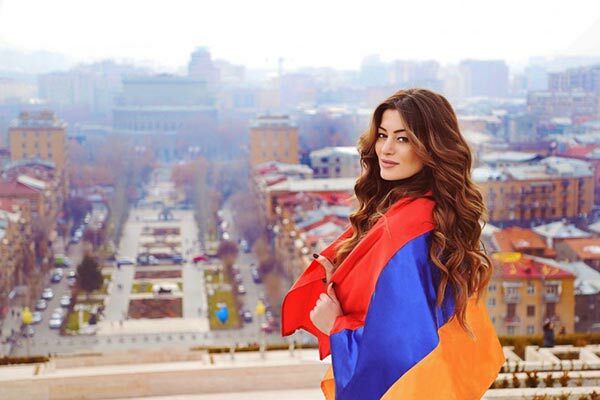 Several Armenian artists, meanwhile, have said that the proceeds from their concerts will go towards helping the people affected by the conflict. Dozens of Armenian soldiers were killed and scores were injured after Azerbaijan unleashed a new aggression against Nagorno-Karabakh on April 2. A number of civilians, including a 12-year-old child and a 92-year-old woman, were killed in Azerbaijani bombings and commando raids inside populated areas in Nagorno-Karabakh. The hostilities during which heavy artillery, tanks and aircraft were used came to a halt on April 5 after a tentative ceasefire agreement was reached by the warring sides. The loss of life in cross-border fire and skirmishes has continued since then, however.